Throughout the course of human history, civilization has been changed, threatened, and even destroyed by disease. Social and political upheaval is inextricably linked to pandemics, plagues, and outbreaks of disease. As human civilization has developed, it has been faced with phenomenon, which have altered its course or even threatened its survival. In his book Plagues and Peoples, William H. McNeill identifies parasitism as a phenomenon that has been a major factor in the shaping of human history. As McNeill states, "human intelligence remained for thousands of years only fumblingly effective in dealing with disease-causing micro-organisms. As a result, the ravages of disease among crops, herds, and peoples played a significant part in human affairs throughout historic time" (McNeill 1998, 60). He reasons that disease has played the role of precipitator in many events over the course of time. Plagues and Peoples examines major plagues and endemics that have occurred throughout time and correlates these outbreaks with political and social changes (McNeill 1998, 20-5, 60). The theory that history is a function of parasitism is expounded in the book by the analysis of several relationships, which underlie the larger picture of humans and their relation to disease. One relationship McNeill examines is the connection between humans and animals, a link that has multiple levels of contact. One type of animal-human interaction is intentional. Humans were brought into close contact with animals and the microorganisms with which they are infected when humans began to domesticate animals. Some of these parasites are readily transferred from species of animals to humans posing a threat to human health. An example of this type of transmission is the parasites such as trichinosis that humans can contract from pork (McNeill 1998, 59-60, 64). Other human encounters with the animal world are accidental. The bubonic plague is an example of such unintentional contact. 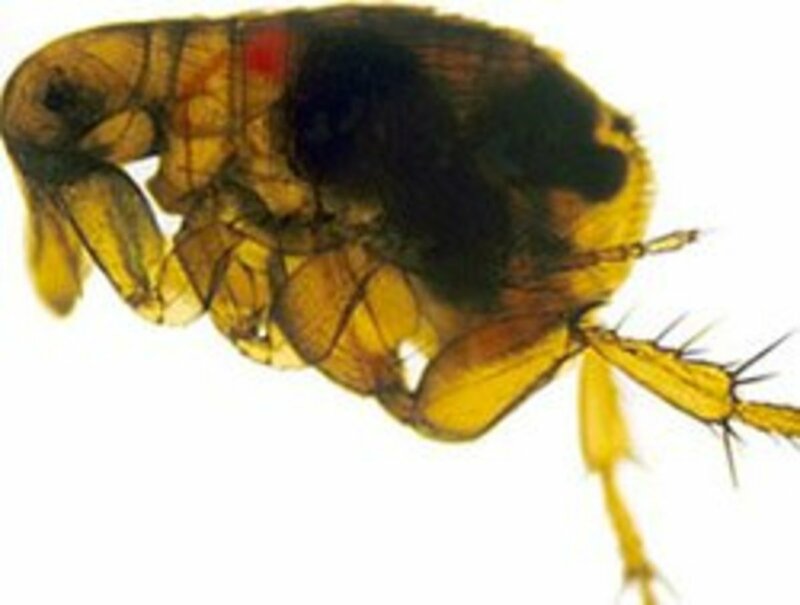 The Plague is carried by fleas that infest rats and other rodents. The disease is transmitted to humans via the rats that find their way into human homes or by other such contact with infected rats (McNeill 1998, 163-89). According to McNeill, "contagion [occurs] via the bite of an infected flea that acquires the disease from a sick rat (or some other rodent), and then, when the rat or other infected rodent dies, abandons its natural host in favor of a human being" (McNeill 1998, 138). As evident, animals can harbor pestilences or other unsavory microorganisms, which can be passed on to humans when the species come into close contact with one another. Another relationship that McNeil identifies as having a role in human's struggle with disease is the interrelation between rural and urban populations. In a sense it can be said that the two groups' experiences with disease were varied from each other. In order for a plague to sustain itself, a certain number of susceptible hosts is required. Large population grouping found in the city or urban environment provided such organisms a sufficient amount of potential hosts in order to feed their demand. Whereas in rural environments it was difficult for a parasite to survive simply because its host died before another could be found (McNeill 1998, 28-9, 97-8). The book concurs that "in outlying regions,...population density was insufficient to sustain the infection on a long-lasting basis" (McNeill 1998, 98). Although urban populations may be capable of providing fuel for an infection, they have a long-term advantage over rural areas. As diseases became more prevalent in a city, the better the human survival rate. McNeill explains, "infections that returned at more and more frequent intervals became, by necessity, childhood diseases. Older persons would have acquired suitably high and repeatedly reinforced levels of immunity through prior exposures. Thus by a paradox that is only apparent, the more diseased a community, the less destructive its epidemics become" (McNeill 1998, 231). Cities and rural populations are further tied by disease. When urban populations were decimated by plagues and infections, workers from rural areas moved in to the city to fill the shortages of workers (McNeill 1998, 279-80). But cities suffered when disease wiped out rural populations. This is because there were not an adequate amount of agricultural workers to provide food enough to feed the city's population, which depended upon the food which the countryside produced (McNeill 1998, 255-6). A third relationship that affects the human-disease issue is microparasitism and macroparasitism. In the introduction to the book, McNeill establishes that "[a]ll animals depend on other living things for food, and human beings are no exception" (McNeill 1998, 24). "Microparasites," according to McNeill, "are tiny organisms...that find a source of food in human tissues suitable for sustaining their own vital processes" (McNeill 1998, 24). In order to describe macroparasitism, McNeill contends, "when food production became a way of life for some human communities, a modulated macroparasitism became possible. A conqueror could seize food from those who produced it, and by consuming it himself become a parasite of a new sort on those who did the work" (McNeill 1998, 25). To further explain his views of humankind ventures of conquest as parasitic, McNeill elaborates by saying that "[a]lthough historians are unaccustomed to thinking of state building, tax collection, and booty raids in such a context, this sort of mutual support between micro- and macroparasitism is, assuredly, a normal ecological phenomenon" (McNeill 1998, 63-4). Despite the fact that microorganisms occasionally aid in macroparasitism, catastrophic population loss as a result of disease can often erode human empires. The reason is that without a sufficient number of people, the government does not have enough manpower to continue to function. Also, a population deficit results in a military understaffing leaving the state vulnerable to enemy attack. Famine also becomes a factor as the pool of agricultural workers declines (McNeill 1998, 84-5, 148-9). From the example of its relationship to macroparasitism, it is clear that microparasitism has been a mysterious force that has, until recently, proven human attempts to explain and control it inadequate. This is evident in three of the major pandemics that have occurred. The first of these was the Black Death that struck Europe in 1349-51. The cause of the disease (bubonic plague), as previously discussed, is a bacillus transferred to humans via fleas from infected rats (McNeill 1998, 163). The infection may have originated in the Mongol empire. The rats made their way to Europe in the trading boats that traversed the Mediterranean (McNeill 1998, 161-85; Scourge of the Black Death 1997). Whatever the origin, the disease spread rapidly throughout Europe killing about forty million people, close to half the population. The response to the epidemic was widespread panic and crippling terror. 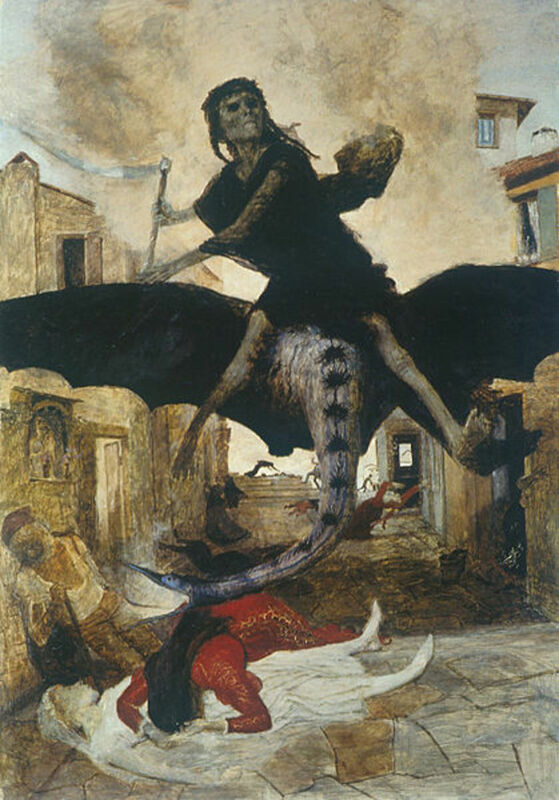 As the video testified, "Fear ruled the lives of all who lived in its shadow" (Scourge of the Black Death 1997). Because of the random nature of the plague, no one knew who would die next. 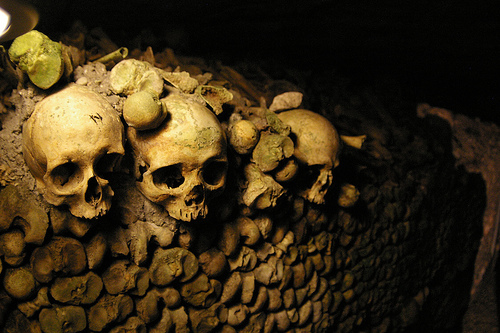 Europe experienced bewilderment as to the origin of the plague. Many theories abounded: comets, deadly gases released by earthquakes, and even planetary alignment (Scourge of the Black Death 1997). On the individual level, people began asking themselves if they were to blame. Many thought that the disease was a punishment from God who was angry with them because of their sins. So many died that it was impossible to perform last rites. As the video claimed, this was especially terrible because "many feared damnation more than death" because no last rites would mean a longer sentence in purgatory (Scourge of the Black Death 1997). 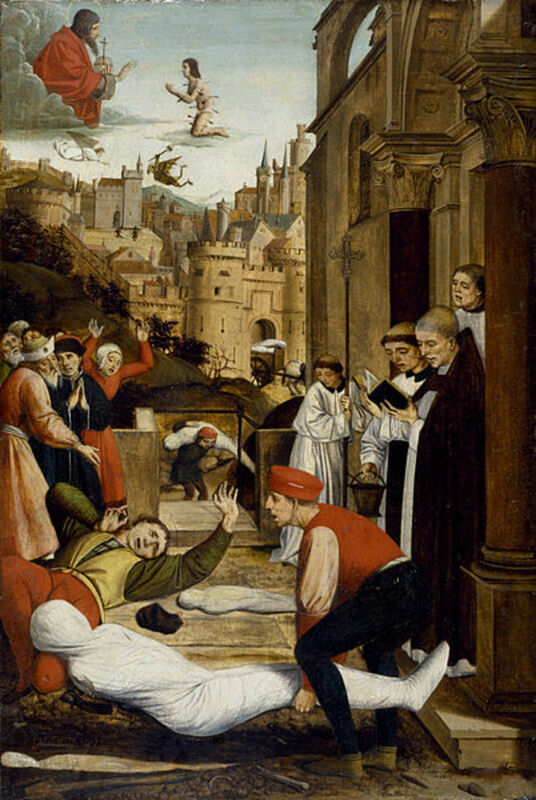 Some responded to the plague by praying to St. Sebastian, who was hit by arrows as many were hit by the plague, and to St. Roch, who contracted plague while caring for the sick and survived (McNeill 1998, 195; Scourge of the Black Death 1997). Others called Flagellants traveled for thirty-three and a half days beating themselves in order to appease God (McNeill 1998, 192; Scourge of the Black Death 1997). Many wore masks and gloves. Some even wore masks with a bird beak in order to block the stench of the dying (Scourge of the Black Death 1997). Jews in Europe became targets of bigotry because they were blamed for the plague (McNeill 1998, 192; Scourge of the Black Death 1997). The foundations of normal life were broken as bonds between families and communities were severed by death. The sick were often abandoned, as they were not viewed as objects of pity but rather of fear and loathing. This lead to distrust among those who had formerly had close ties. 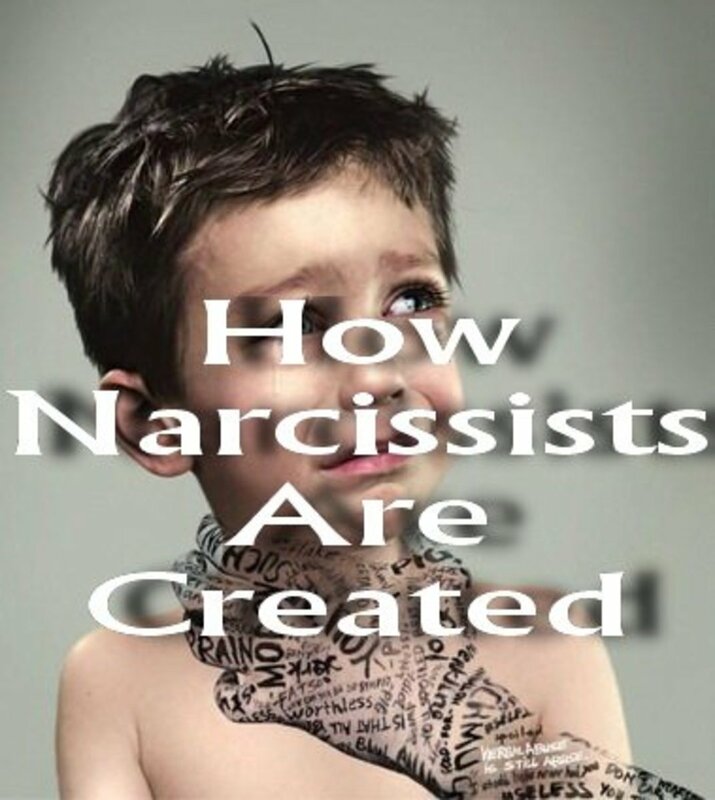 Individual and national psyches were devastated as the disease claimed more and more victims. The influenza pandemic of 1918-19 produced similarly demoralizing and distressing effects on individual and community psyches. The outbreak first emerged in a military base in Kansas. It was carried overseas by soldiers traveling to fight in World War I. Over a period of about twenty-four weeks, the global death toll from the infection was in the in the millions. At the time no one knew that the disease was caused by a virus. Doctors of that time thought that it was caused by bacteria. Scientists now know that it was caused by three new strains of the flu virus that had mutated into strains particularly destructive to humans (McNeill 1998, 195; Influenza 1918, 1998). The disease was especially lethal to healthy, young adults, the segment of the population most important for functioning of society. The effects of the disease were very rapid. As said in the video, a person could be "healthy in the morning; dead by nightfall" (Influenza 1918, 1998). America was demoralized by the epidemic. It was disheartening to discover that humanity had not achieved invincibility. As the video quoted Victor Vaughn, "Influenza demonstrated the inferiority of human inventions" (Influenza 1918, 1998). No one was safe. Everyone wondered who its next victim would be. As was the case with the Black Death, distrust arose among previously tight-knit families and communities. Many were left to die alone. Hysteria prevailed that Armageddon, the day of God's vengeance, had arrived. Many thought that God was behind the epidemic and that he was exacting revenge for humanity's sins. Billy Sunday, an evangelical preacher, thought it was possible to pray the flu away (Influenza 1918, 1998). During the epidemic, America had tunnel vision about the war. The government did not act in the beginning because all of the country's resources were needed in the war effort. Eventually the disease ran out of victims and influenza stopped claiming massive numbers of lives. When this happened, the country went through what seems to have been a collective act of forgetting. 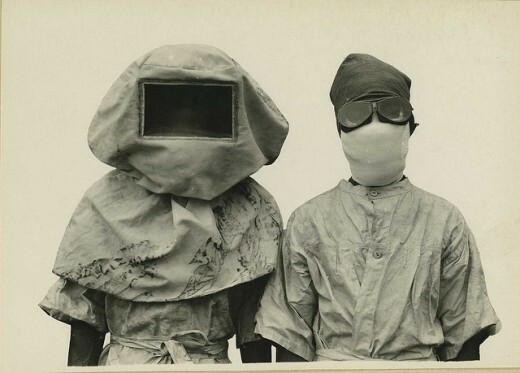 The pandemic is rarely given more than a gloss in historical accounts. The war is what retained dominance in American psyches (Influenza 1918, 1998). The outbreaks of cholera in the nineteenth century produced reactions that parallel the other two pandemics discussed but were less dramatic. Cholera is caused by a bacillus that lives in water. Once it enters the human body, it, according to the book, "produces violent and dramatic symptoms-diarrhea, vomiting, fever, and death...The effect was to make mortality uniquely visible: patterns of bodily decay were exacerbated and accelerated...to remind all who saw it of death's ugly horror and utter inevitability" (266-7). Cholera had long been associated with Hindu pilgrimages and religious celebrations and thus was not given much consideration by governmental authorities. During the outbreak in the 1800s, cholera also came to be associated with Moslem pilgrimages to Mecca and other important religious destinations (McNeill 1998, 267-9). In Europe, where the disease was striking a virgin population, responses were varied. As McNeill indicates, they included such things as "religious supplication and medical quarantine" and "renewal of Christian piety" (McNeill 1998, 270). He also says that "[p]eople had...to improvise, argue and flee, as well as plead, threaten, and pray. In other words, there was a wide spectrum of behavior from which to choose the most effective way to cope with what everyone agreed was a real and present threat to life and society" (McNeill 1998, 270). As cholera is spread by poor sanitation, reaction to the epidemic involved efforts to improve water and sewer conditions in Europe. The changes implemented by boards of health along with the vaccine that was developed in 1893 all but eliminated the threat of cholera in Europe thereby alleviating the minds of European citizenry (McNeill 1998, 267-83). A documentary about the Spanish Flu outbreak of 1918 and how the medical society handled compared to how a similar pandemic would be dealt with in modern times. Pandemics that occurred in the 1500-1700s in the Americas are responsible for dramatically altering the course of world history. The indigenous populations of North and South America had been isolated for millennia from those of Europe and Asia. Because of their isolation, the indigenous people had never been exposed to smallpox and other such diseases that had been so frequent in European history as to become childhood afflictions. The result was that these diseases wiped out vast numbers of indigenous Americans with death tolls in the millions (McNeill 1998, 19-23, 208-41). Smallpox arrived in the Americas in 1518. It attacked TenochtitlÃ¡n in 1520 and began killing those who had opposed Cortez. Cortez had only six hundred men with him, yet was able to subdue the mighty Aztec Empire. McNeill points out that "if smallpox had not broken out when it did, Cortez's victory would have been more difficult, and perhaps impossible" (McNeill 1998, 216). Similarly, Pizarro was able to overthrow the Inca because the same epidemic had spread throughout the continent decimating Native American populations. The conquest of the Americas by Cortez and Pizarro is thus another example of macroparasitic agents making use of the microparasitic. In reality, microbes were responsible for the conquest (McNeill 1998, 19-21, 215-6). The Spanish victory can also be attributed to, as McNeill states, "the psychological implications of a disease that killed only Indians and left Spaniards unharmed. Such partiality could only be explained supernaturally, and there could be no doubt about which side of the struggle enjoyed divine favor" (McNeill 1998, 20). From the Native American perspective, they were doomed and had no other choice but to surrender. European diseases not only executed them, but also demoralized them and stole their will to fight back (McNeill 1998, 215-7). Spaniards and Indians readily agreed that epidemic disease was a particularly dreadful and unambiguous form of divine punishment. Interpretation of pestilence as a sign of God's displeasure was a part of the Spanish inheritance, enshrined...in the whole Christian tradition. The Amerindians, lacking all experience of anything remotely like the initial series of lethal epidemics, concurred. Their religious doctrines recognized that superhuman power lodged in deities whose behavior toward men was often angry. (McNeill 1998, 216). McNeill concludes that "[g]iven the interpretation of the cause of pestilence accepted by both parties, such a manifestation of divine partiality for the invaders was conclusive. The gods of the Aztecs as much as the God of the Christians seemed to agree that the white newcomers had divine approval for all they did" (McNeill 1998, 216-7). The tiny creatures brought to the Americas by the soon to be conquerors reinforced the pre-existing beliefs about Native Americans by appearing to be the instruments of divine wrath. 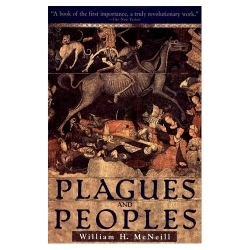 When McNeill wrote the book Plagues and Peoples in the 1976, he hypothesized that disease of epidemic proportions would continue to haunt human history. Little did he know that he would be proven correct within a decade. During the 1980s, a newly identified disease appeared on the front of the history long battle between humans and disease. The HIV/AIDS virus had begun taking victims (McNeill 1998, 9-17). 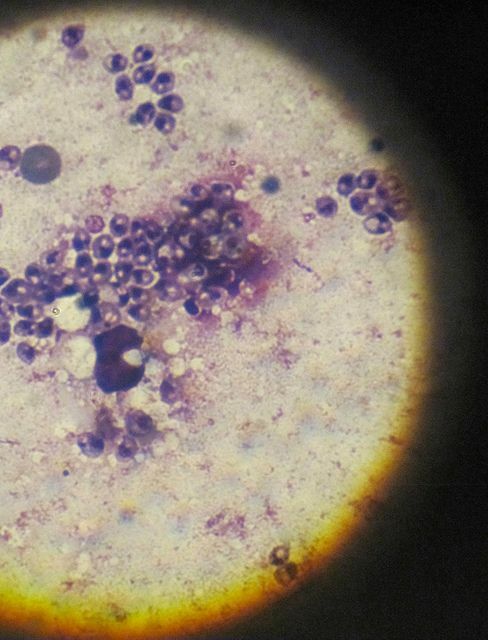 The disease follows the familiar patterns of infections that McNeill outlined. Prevalence of the disease favored the urban environment where more potential victims are located. Seventy percent of the gay population of the city of San Francisco contracted the disease (McNeill 1998, 12-3). Preference for urban environment can be seen in Africa where the disease is most rampant in the poor slums outlying cities (Jackson 2004). What also sounds familiar about the AIDS epidemic is the effect it has on social structure. In this case, the balance has been tipped in the favor of micro- over macroparasitism. Economies are hard hit by the loss of workers that it is facing in Africa as a result of death and inability to work because of sickness and a weakened condition the disease causes. As the AIDS Revisited video stated, children are orphaned and left without any way of survival as parents ask themselves, "What will happen to my children when I die?" (Jackson 2004). The response of victims is similar to what was seen with the epidemics of the past. The populace is demoralized by the inexplicable nature of the disease that is killing them. Some view the disease as God's punishment as the disease is associated with promiscuous and/or homosexual sexual activity and with the use of intravenous drugs (McNeill 1998, 9-17; Jackson 2004). Like other infections that have plagued humans in the past, medical breakthroughs have made the disease less potent. Antiretroviral drugs help those with the disease to live longer and to be healthier. Additionally there are drugs that stop the transmission of the virus from mothers to infants (Jackson 2004). What will the future of the disease hold? Will medical science eventually eradicate it as a threat altogether the way that many diseases that prey on humans have been eliminated? Or will humans build immunity to it making the disease into one of childhood as so many other diseases have become? Perhaps the virus will itself mutate into a more stable microorganism with a less volatile effect on its host. Whatever the future of AIDS and other potential viruses, time and again microparasites have proven that humans are still powerless against such forces that work as McNeill says, "independent of human intention" (McNeill 1998, 229). 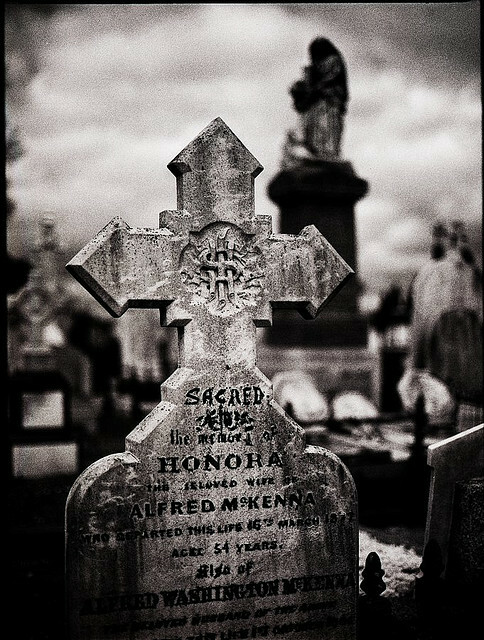 To conclude, as McNeill says, "A world where sudden and unexpected death remains a real and dreaded possibility in everyone's life experience makes the idea that the universe is a great machine whose motions are regular, understandable and even predictable, seem grossly inadequate to account for observed reality. Epidemic disease, after all, strikes erratically as well as unpredictably, and can never be dismissed as insignificant to those exposed to it" (McNeill 1998, 263). Influenza 1918. 1998. 60 min. PBS Video. Videocassette. Jackson, Judy. Aids Revisited. 2004. 52 min. Bullfrog Films. Videodisc. McNeill, William H. Plagues and Peoples, rev. ed. New York: Doubleday, 1998. Scourge of the Black Death. 1997. Produced by Tom Fuchs. 42 min. A&E Television Networks. Videocassette. Information about bubonic plague, including its symptoms, how it's spread, diagnosis and treatment. The Stephen Lewis Foundation supports community-based organizations working to turn the tide of HIV/AIDS in Africa. 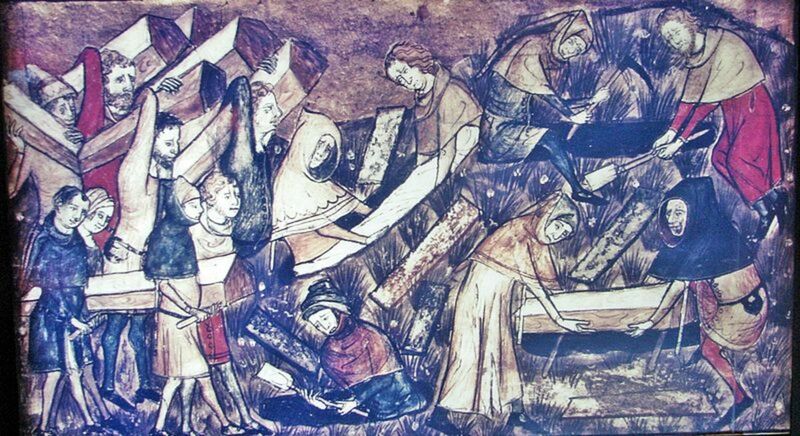 Plague and The Black Death 1348: What Was It Like? @Close2Art LM: Wow. Thank you for the blessing!